In addition, if you use this card for purchases outside the US during this timeframe, your foreign transaction fees will be reimbursed! 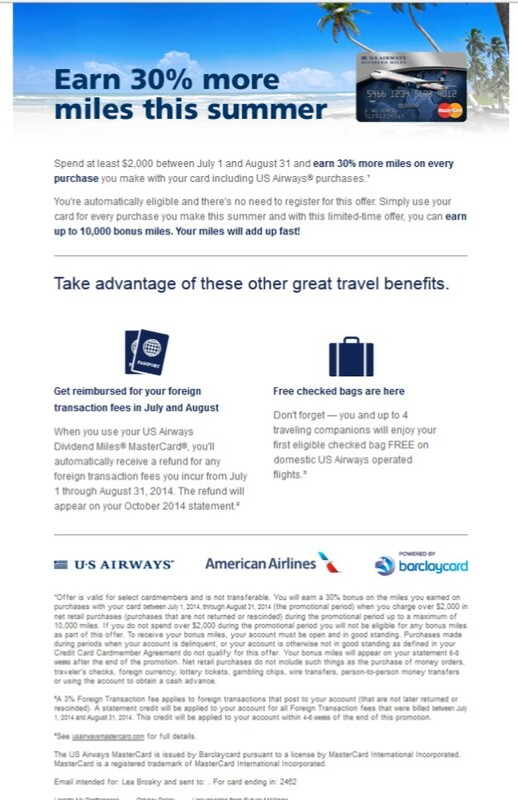 There’s a max bonus of 10,000 miles for this promotion. The miles will post 6-8 weeks after the end of the promotion, which works out to mid-to-late October. Will you be taking advantage of this promotion?